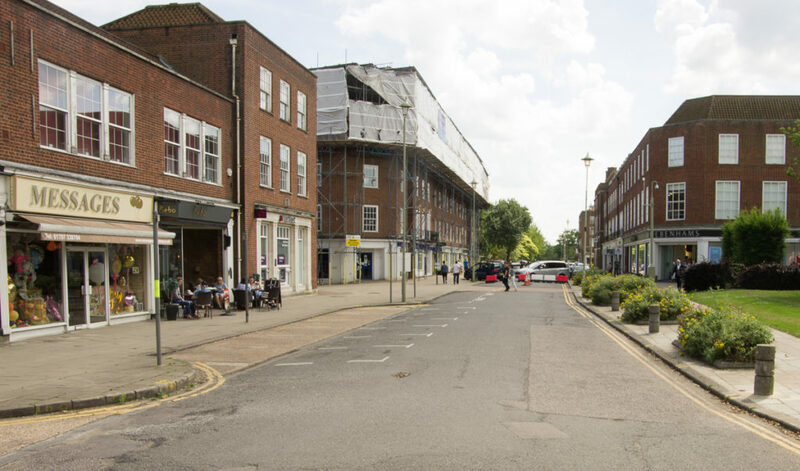 “Hertfordshire County Council in partnership with Welwyn Hatfield Borough Council and supported by Welwyn Garden City BID are developing a scheme to enhance the area around Welwyn Garden City town centre. The aim of the scheme is to improve the environment for pedestrians and cyclists, to enhance the experience for people using the town centre and to reduce traffic circulation. We would appreciate your feedback to help inform the scheme. Please find the consultation drawings and survey available on our website at the link provided. The project team will be on site on 26th May from 10am-2pm and 11th June 3-7pm to discuss the proposals with the public. The biggest change is the removal of motor traffic from half of Stonehills – now a much more pleasant place to walk through or sit out and enjoy some refreshments! Whatever your views, please take the opportunity to provide feedback to the council so they can make an informed decision. WelHatCycling are strongly in favour of improvements like this, and have contributed ideas to make the town centre an even more pleasant and safe place to visit. Why would cyclists be allowed to mingle with pedestrians? This will obviously cause accidents! Why has no provision been made to accommodate disabled parking spaces? If it is planned to hold events in this area, what is the area outside Sainsbury for? When this was built we were told that events would be held there, now it is merely a skateboarding area. A more simple solution to the traffic chaos in Stonehills would be to make it one way by opening up the road onto the roundabout with another set of traffic lights linked to the existing ones. I note your concern about the mixing of pedestrians and cyclists, but experience in other towns such as Cambridge or Hertford is that this is not a problem. Do you know of a town where this is not the case so we can see the evidence? Disabled parking: I can’t see anything in the plans. I’d suggest you email the County Council and your County Councillor about this. Clearly disabled parking should be a priority over parking for the able bodied. We would hope events would not block pedestrian and cycle access. I guess Stonehills is probably a busier space and so may be a better location for things like the French Market? The problem with making Stonehills one way to cars is that does nothing to reduce the cars in the town centre which make it a less pleasant place to be. Look at Hertford where the pedestrianised streets are very successful. Ditto St Albans. It would also duplicate the route via Wigmores so ought to be unnecessary. What is needed is a safe cycle route out of the town centre to the north over Hunters Bridge and via the council offices towards Digswell Road. We’ll keep campaigning for that.